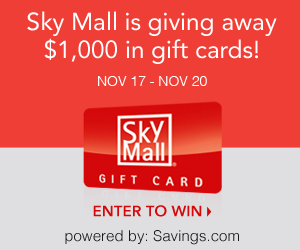 $50 Sky Mall Giveaway | A Savings WOW! Would you like to buy some of the unique things in the Sky Mall? Make sure to enter this giveaway for a chance to win one of twenty (20) $50 Sky Mall gift cards.